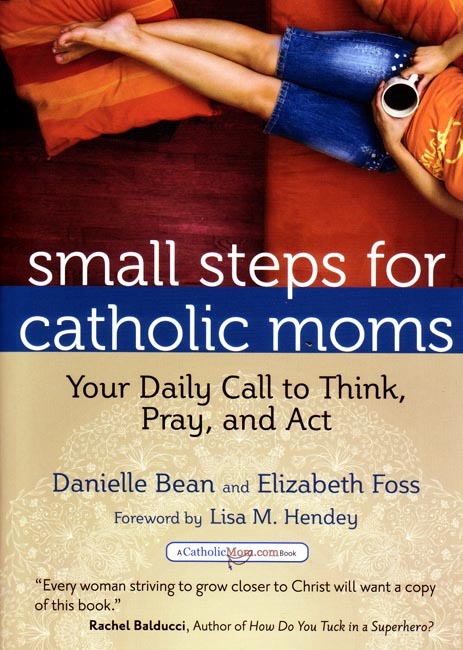 Small Steps for Catholic Moms by Danielle Bean and Elizabeth Foss. Written by Catholic moms for Catholic moms! This handy volume contains daily prompts and meditations for every day throughout the entire year, to encourage moms in spiritual growth as well as help in the fulfillment of their wonderful vocation. Black and white. Copyright 2010. Dimensions: 5 x 7 inches. Soft cover. 395 pp.